Last night’s episode of The Walking Dead was shocking to me. It’s one of the few shows I actually watch on television because I really feel like the lives, sanity, and humanity of every character on the show is at stake every time I watch it. The show has a great way of bringing death to life on screen. With the deaths of two characters and the possibility of a third hanging in the balance now, last night’s episode of the walking dead was especially gory. The show partly being about flesh-eating zombies, it seemed like last night’s theme focus was about watching people being torn apart while they are alive and struggling. I mean, sure, it’s the walking dead, we see people get taken out by zombies all the time, but usually its a quick chomp into the arm or neck of some side character who you either didn’t really care that much about, or you wanted them to die anyway. Then of course, there’s the swarm death where a character is “swallowed” by a gang of zombies and we see only their flailing hand or leg because everything else is blocked from view by the mass of feeding undead. Last night was a little different for me and a somewhat difficult to watch in a good storytelling way. 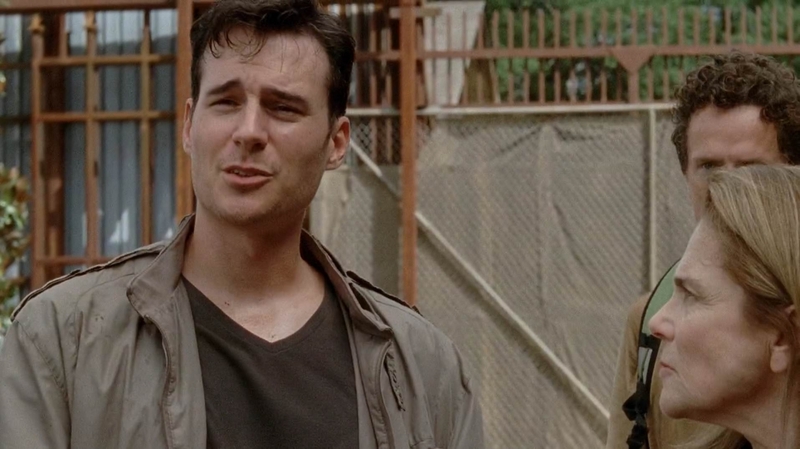 The Walking Dead has some great story telling where characters you grow to care about, and to dislike, are constantly in danger of being killed…horribly. Watching Aiden, impaled on the gate, hopelessly hanging there like a piece of meat while the walkers tore open his belly and pulled out his innards was something to see. What really made it hard to watch was his facial expressions, the horror and disbelief contorting his face due to what was happening to him. Knowing that he was alive and fully aware of what was going on, and helpless to do anything other than to just take it…yeah, that was pretty bad. The same with Noah, seeing the pain on his face, the horror in his eyes as they tore him apart, watching the Walker’s hands and teeth biting, clawing, digging, and pulling him apart…yeah, that was bad too. What made these deaths harder for me to watch and deal with than some others? Storytelling, I believe. Even though, I grew not to like Aiden that much, and he was instantly on my list of characters “who can go!”, in this episode, he seemed like he was trying to change in some ways for the better and because of that, I didn’t really want to SEE him go like that, not like that. I mean, after seeing it, I actually said that I wouldn’t wish that kind of death on my worst enemy. I don’t think I would even want to see The Governor go out like that. Can you imagine your innards being torn out and fought over right before your eyes? …yeah…no. As for Noah, I liked him. He was becoming a good part of the group, He was young, willing, intelligent, caring and capable. To see someone like that be ripped apart is heartbreaking especially when you see/know/realize/keep in mind that he was fully aware of what was happening to him, and who knows for how long. Where the storytelling comes in to play for me, is that I was presented with two characters, one I liked and one I didn’t. Either way, the writers did enough that I developed feelings for them both and they both were killed in basically the way, being torn apart while wide awake. I’m a big horror fan, I love all the blood and gore, but I like it even better when there is feeling behind it. What’s missing from a lot of horror stories/films, especially in recent years, is that it seems to have just become about “How many creative ways can we kill people?” The problem is, we rarely ever care about the characters being killed, regardless if they’re a jerk or not, or if they deserved it or didn’t. 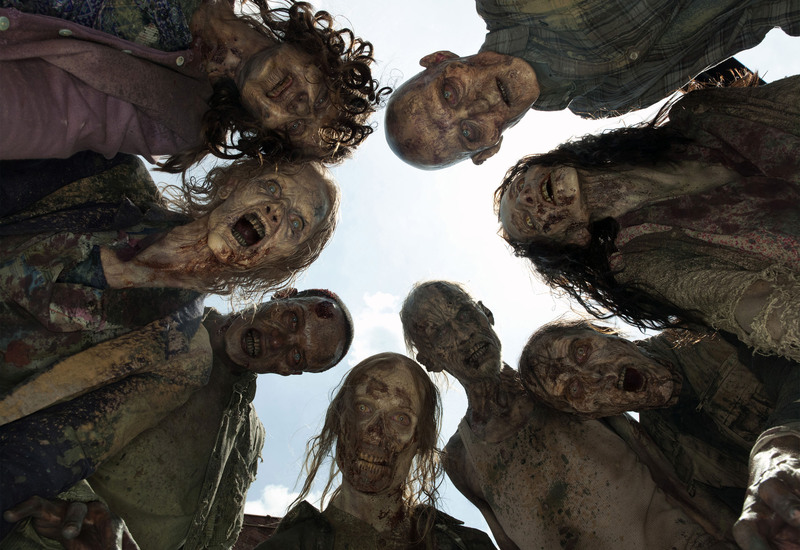 The writers, directors, and actors of The Walking Dead really bring to life the dangers of their fictional world, the undead, in a way that it makes me not want anyone, the characters I don’t like, and even the “bad guys”, to die by the hands and teeth of the walkers. That’s just too cruel. Have you ever seen something in a film or read something in a book that was so bad that you wouldn’t wish it on your worst enemy? Thanks! Yeah, when the show first aired, I didn’t want to watch it because I assumed it was a bunch of hype over nothing. Then, a co-worker told me about the episode in season two when the group first encountered a horde while on the highway with the camper and they made it sound so good. I watched that episode and it was so full of suspense I was hooked from that moment on, lol. I try to convince non-viewers of the show to give it a try every chance I get! Next My Other Weekly Viewing Pleasure…RUNNING MAN!